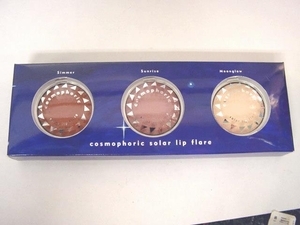 Save $6.00 when you get all three incredible Solar Lip Flare	shades. From Italy, our unique formula lip glosses reflect light to	make your lips look their luscious best. To be worn alone or over	lipstick; or mix the Solar Lip Flare shades together to create your own	shade.